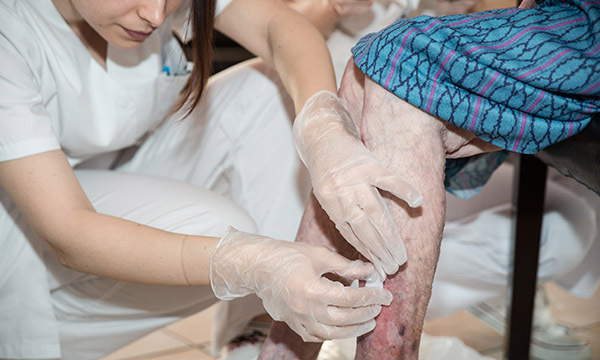 Almost a quarter of dermatological nurses have said they are likely to be the only regular visitor for around half of the patients with skin conditions that they see at home. A new survey of nurses by the British Skin Foundation (BSF) showed that 23% of those responding provided this vital contact for their patients. NHS Tayside lead dermatology nurse Karen Stephen said the survey results demonstrate the important role nurses have in supporting skin disease patients not only with the physical impact of their conditions, but also with the psychological effects. A BSF spokesperson Lisa said patients may not be having regular visits from anyone apart from their nurse for a number of reasons, including that they could be older and without any living friends or relatives. They may also not wish to leave the house because of their condition or they may not be fit or well enough to do so. Nine in ten (92%) of the nurses surveyed said their patients confide in them about both the psychological and physical effects of their condition. But two-fifths (43%) believed patients do not also talk about the psychological effects of their skin condition with their doctor or dermatologist. All the 104 nurses surveyed at the British Dermatological Nursing Group annual meeting last month said they thought that patients find it easier to talk to a nurse than a doctor. Just over a fifth (22%) spend around half their time dressing wounds or addressing skin conditions. Nottingham University Hospitals NHS Trust dermatology nurse consultant Sandra Lawton said the survey showed there must be investment in dermatology nursing to ensure nurses have the skills to support patients and their families.